Supply or discharge pressures may vary. 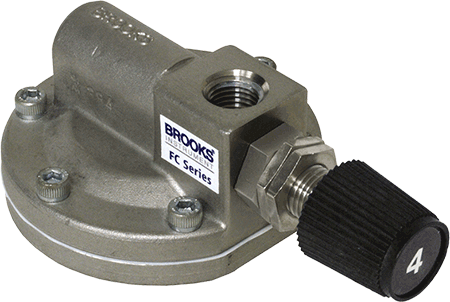 But with flow controllers from Brooks Instrument, the differential pressure across the integral manual flow regulating valve remains constant. An internal diaphragm-actuated control valve receives incoming pressure on one side and outlet pressure with spring action on the other. This design balances pressure variations to maintain a fixed differential pressure across the valve that ensures constant flow. The result is precise flow control for many gas and liquid-service applications. 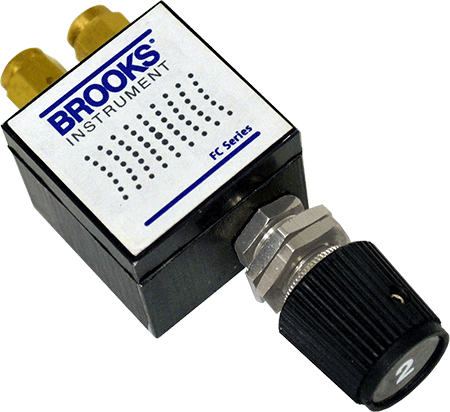 Can be used as a stand alone flow controller or integrally mounted to a flow meter to save space and improve installation.